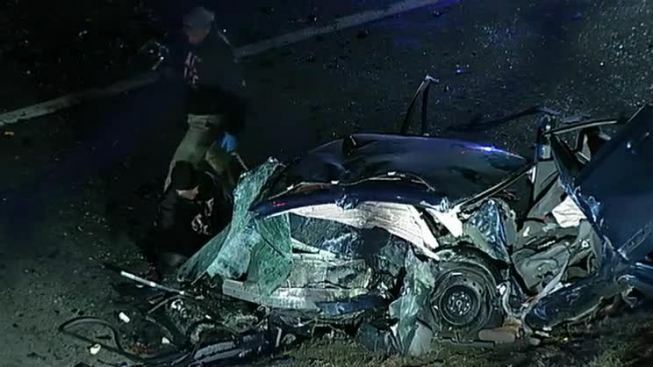 Rhode Island state police say a Massachusetts man has been charged with drunken driving after two people were killed in a car he hit while going the wrong way on a highway. State police said 24-year-old Joel Norman of Webster is being held on $100,000 bail after he was arraigned Sunday on charges of drunken driving resulting in death, and driving to endanger resulting in death. It isn't known if he had a lawyer who could speak on his behalf. Police identified the victims as 21-year-old Tiffany Sical of Providence, the driver of the car struck by Norman's vehicle, and her passenger, 23-year-old Bryan Rodriguez-Solis of Central Falls. Police say the crash occurred in on Route 6 shortly after 1:30 a.m. Sunday near Toby Street in Providence.